Hello! Marybeth here today. I hope you all had a wonderful Christmas . 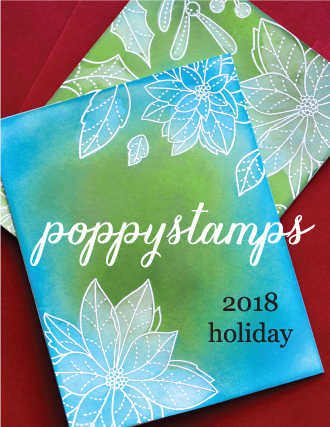 I never had a chance to use this beautiful Poinsettia Die from Poppystamps before Christmas so I tried using a different color for a birthday card. 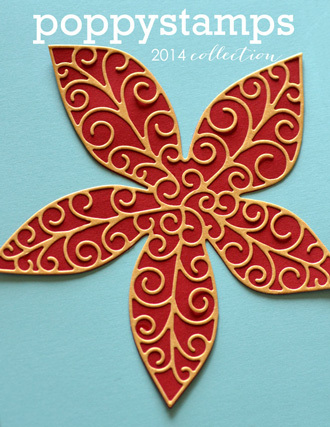 I cut two of the smaller blooms from the die set, one to keep whole and one to cut apart. The photos don't show too well but I used shimmer pen on top of all the watercoloring for a deeper color. 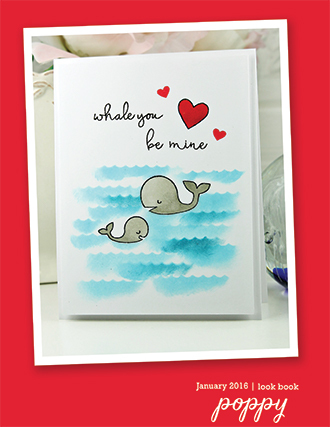 This was a simple card to make. I used my zig watercolor pens to color and then shimmer pen. 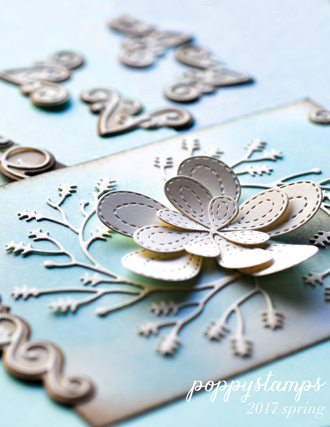 I layered the dies on the card using some foam tape to pop up a few of the blooms and leaves. God bless you in the new year! 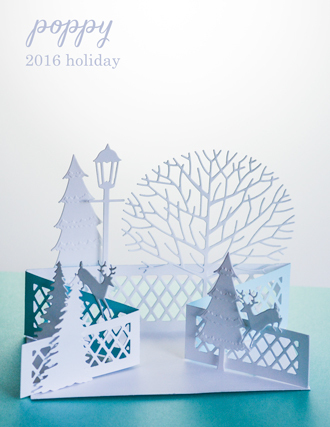 In last days of this year I want to share with you craft envelope! 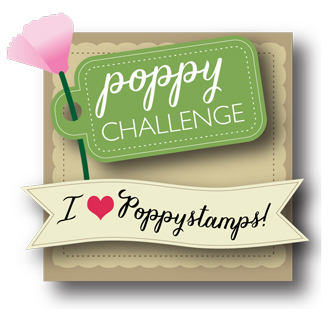 You can make the same envelope in 20 minutes, all you need are Poppystamps dies and stamps! Invite you to see full video tutorial! Time to treat yourself! After Christmas Sale! Can you believe it's almost Christmas? Santa rides tonight! When I was young we'd visit my Grandmother every Christmas Eve. I remember the the news coming on and the announcer telling us that Santa was spotted in our area. I'd look out the car window searching the starry sky for just a glimpse! Is anything more magical? 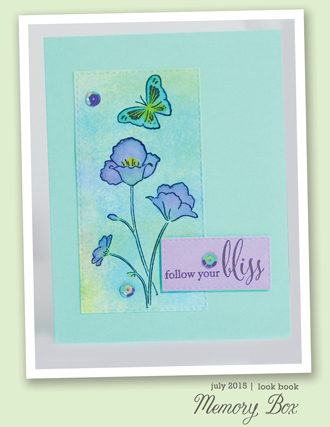 The background is a simple distress ink panel. 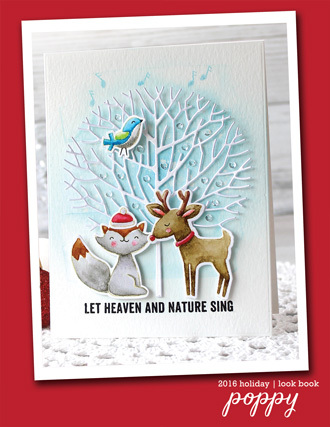 I added a snow Stitched Hill with a stamped sentiment to the bottom half of the card. 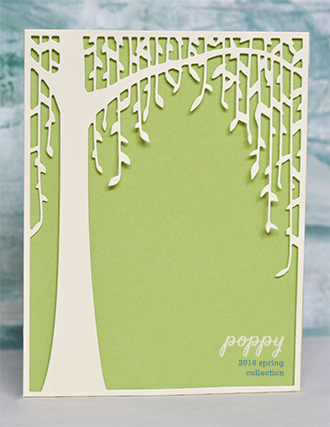 Tree Trunks are tucked in behind the hill and layered yellow circle die cuts are tucked under the tree trunks. 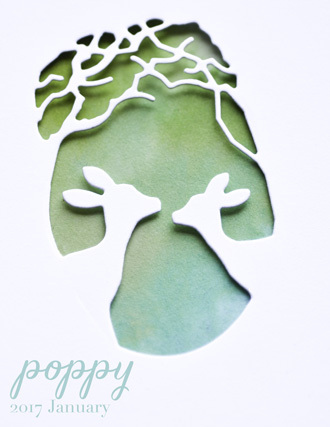 Stanta's Sleigh is cut from black card stock to create a silhouette as he flies across the moon. 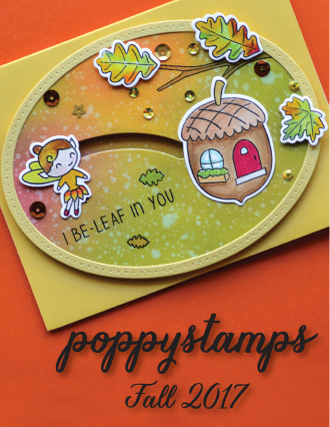 The Poppystamps die cut houses are easy to assemble. They all come in three layers. The bottom layer I cut from yellow to create a glow of light coming from inside the homes. The next layer is the curtain color. Lastly the exterior house color is stacked on top. There are accent pieces included to embellish the houses with colorful roofs and chimneys. 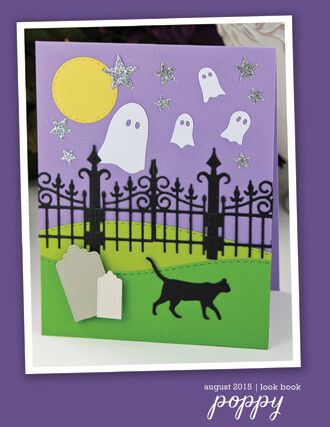 I added some glossy accents sprinkled with ultra fine crystal glitter to look like paths leading from the homes. I love adding little details to scenes to help bring them to life. 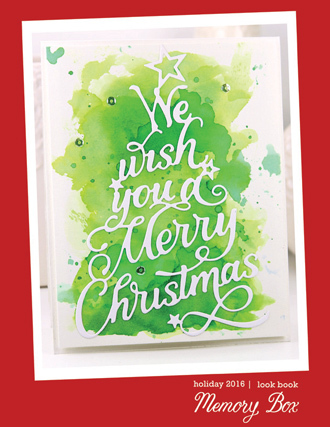 Wishes from me to you for a wonderful Christmas! 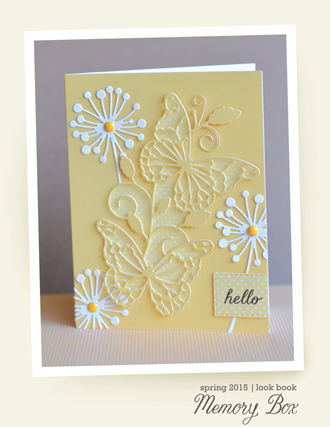 Finished Size 4.25 x 5.5"
Hello! Marybeth here today! 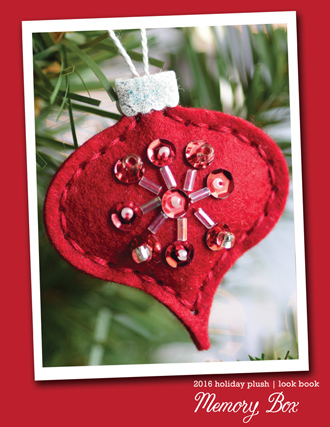 I have a Christmas shaker card to share with you. 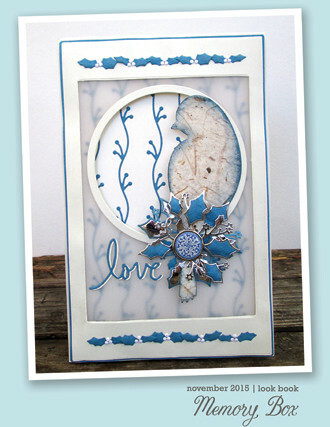 Using this beautiful: Seed Snowflake Joy die along with : Tidings of Joy clear stamp set both from Poppystamps. I cut two panels. I added acetate to the top layer and vellum to the bottom layer to hold the sequins in place before adhering to the main card. 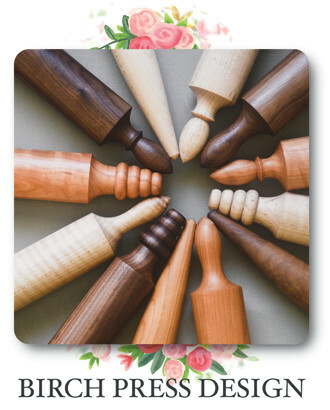 There are many ways to make a shaker card. For mine I took the time to have thinly cut foam tape around each letter and snowflake to keep the sequins in a separate place. 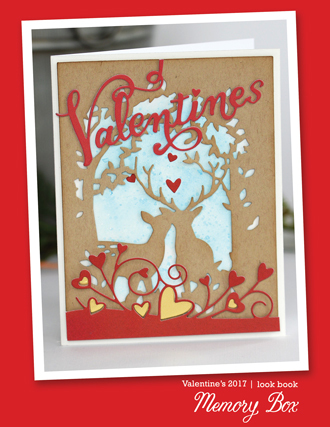 You could also cut about four layers and glue each together. I try to leave the backing on till the very end so that the sequins wont stick to the foam tape. 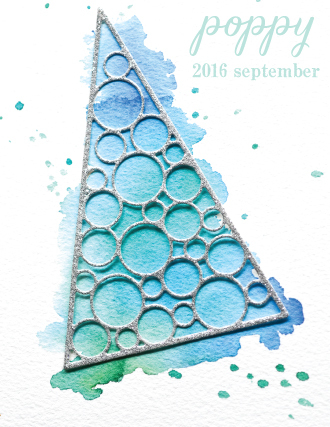 Right before I fill with sequins I use my embossing buddy so the sequins wont stick to the sides. Be careful not to bump your card or you could have many sticking to the tape. 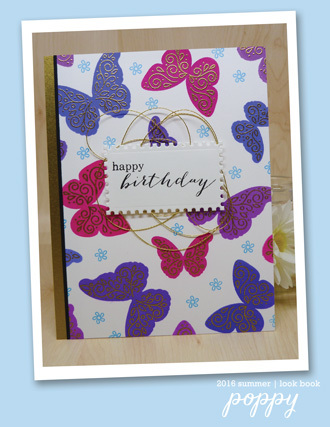 Once filled I put the panel with the vellum on top, then place on the front of the card. Thank you for the visit today! I hope you have a wonderful and blessed Christmas. We are so glad you could drop by today and take a look at this cute little Whittle Owl! 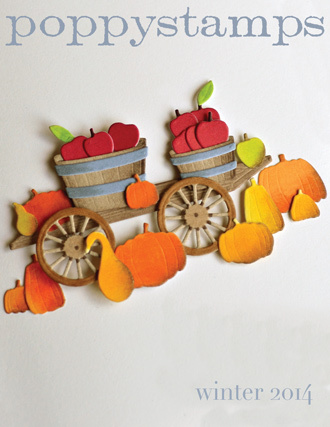 All of the little characters in our Whittle collection are so much fun to mix and match to create beautiful winer scenes. Today, our little grey Whittle owl sits high on the Swaying Birch, way up on the mountainside of the Mountain Hills Plate. 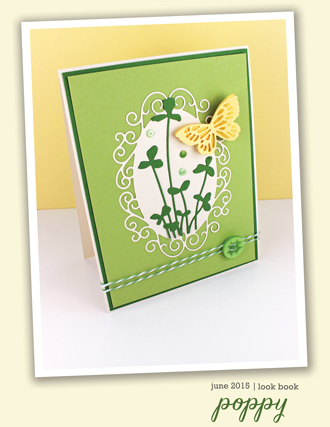 This card was so much fun to make too! I had a few alcohol inks on hand, but I didn't have any shades of blue, until just the other day! 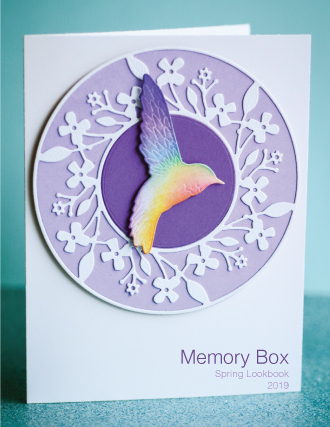 I was so excited to create this card, with the evening sky, and the last bit of the sun dipping down behind the mountain. To begin, I used YUPO paper and only 3 inks, a shade of pink, a shade of purple, and a shade of blue. I dripped the inks across the paper, then took a cotton ball with just a little bit of blending solution, and gently "wiped" the paper left to right until I achieved the results I wanted. The fun part about using alcohol inks on YUPO paper is the way you can control this chaotic burst of color. 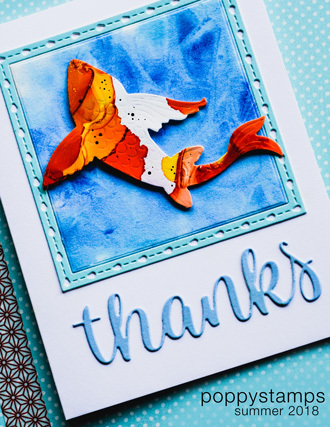 You can create swirls, stripes, loops, waves, puddles, just by blending and pushing the ink in different patterns. While my YUPO panel was drying, I cut out the Mountain Hills Plate in white and green, then layered them to give just little bits of green peeking out under the white to look like snow. I then cut the Swaying Birch and the Whittle Owl in dark and light grey, then put it all together! 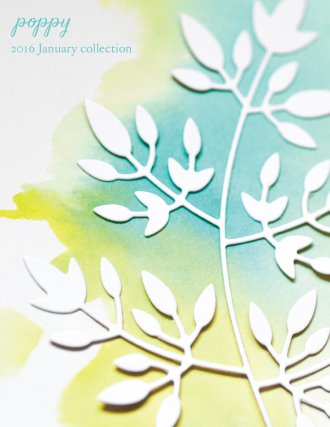 The alcohol inks and YUPO give the background a beautiful, saturated burst of color against crispy white snow, but this design would work in so many different backgrounds too. 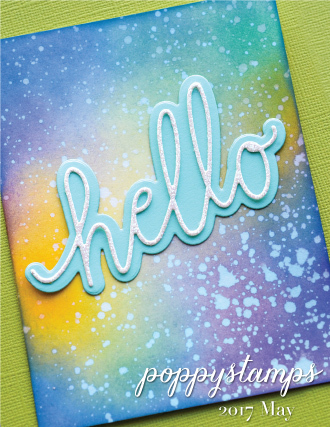 You could use oxide inks to create a galaxy or northern lights background, or watercolors, or even solid color card stock to create a night sky. Thanks so much for joining us today! Do you remember my Blue Christmas Card????? 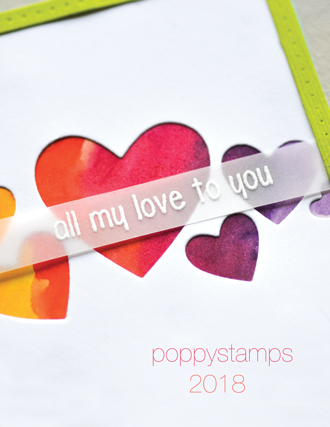 I present my card in the last release of Poppy!!! Today, I show you a pretty tutorial in video, so you can do them!!!!! These are my cars!!!!! Look!!!! 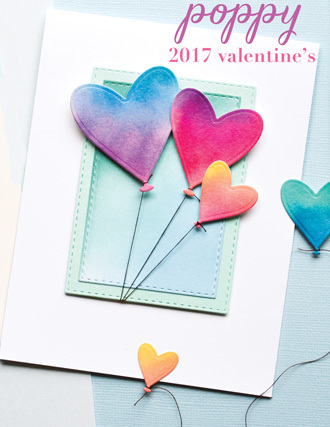 I love these cards!!!! I think that you can do them, so easy!!!! 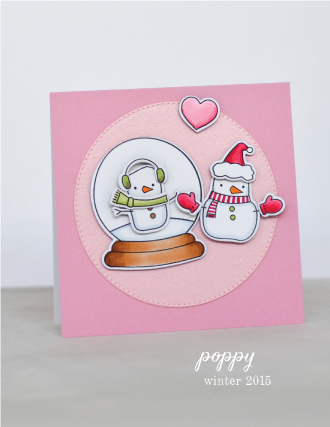 Your Christmas with Poppy stamps and diecuts, will be so Merry and Happy!!!!! So festive with non-traditional Christmas colors!!!!!!!! Wich is your favorite color for Christmas??? 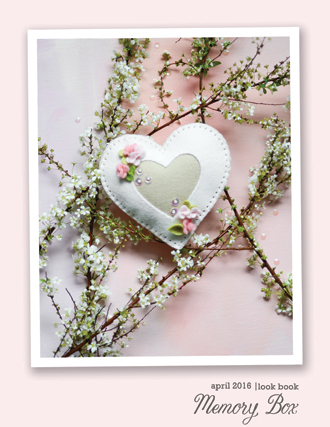 Here is my pink card!!!!! You will learn to do it in my video !!! Hope you like my dear friends!!!!!!!! 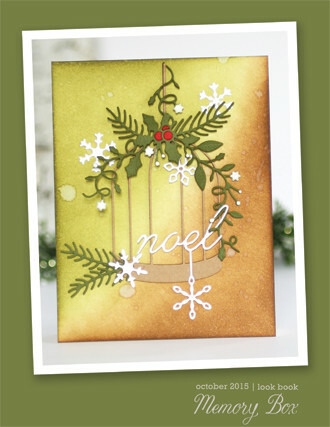 With Christmas fast approaching, I wanted to share a design with you today that can be easily adapted. 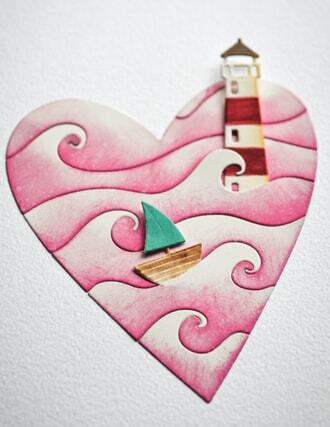 So whether you are in to brights and bolds or prefer a more neutral colour palette, this idea should work for you. Using the Triple Stitch Window, cut twice as shown. This creates the 'stage' for any mini scene you want to put together and gives scope for any background you might want to use. I'm keeping this one super simple by adding just three trees from the Wooded Glen Landscape and one bird. 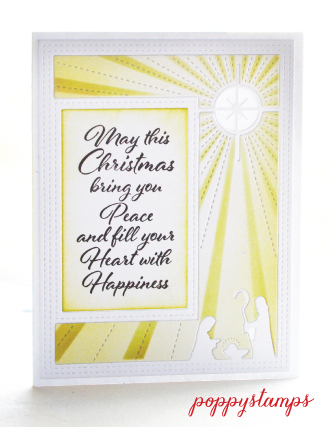 To create a focal point I've added a stamped Merry Christmas sentiment and cut it out at a very slight angle before mounting on to Mirri card. 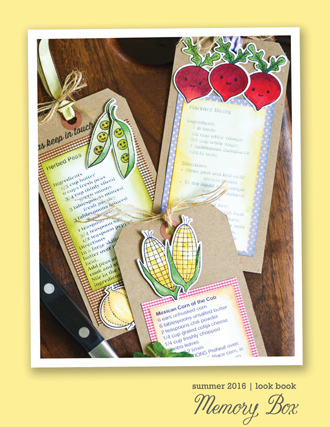 Using part of one of the Studio Blotter stamps in the corner adds just a little more visual interest. If you don't already have a background to hand now's the time to make one. Glue everything into position on the front, then add foam tape behind before adding your background layer. 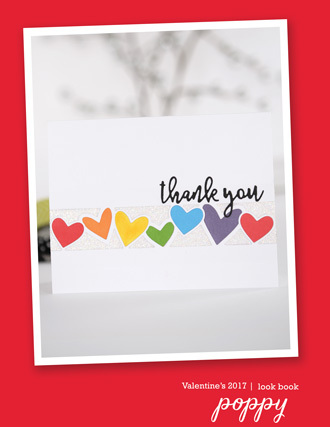 This just creates a little depth to the card. Can you see that I've added a star to my background? You could leave it just like this. Or you could emboss the front before adding the foam tape. ... and then dipped my finger in to the pot to add some textured 'snow'. Can you see how the design travels on a diagonal from left to right with the focal point right in the middle? That's what keeps this from looking too 'busy'. Jeanne here today! I hope you're enjoying all the beauty of the holiday season. 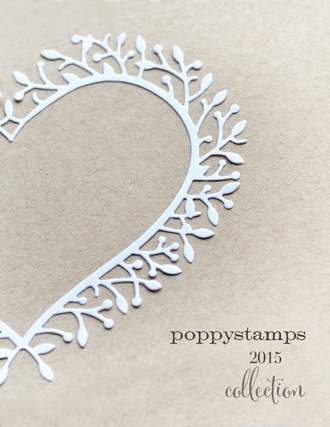 I love playing with Poppystamps dies... it doesn't matter if you love Clean and Simple or like to add as many as you can to make a scene like I did today! 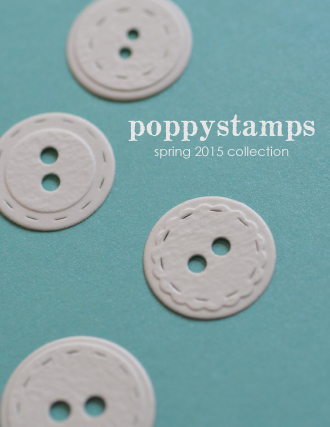 Poppystamps has something for EVERYBODY! I started with a simple background. 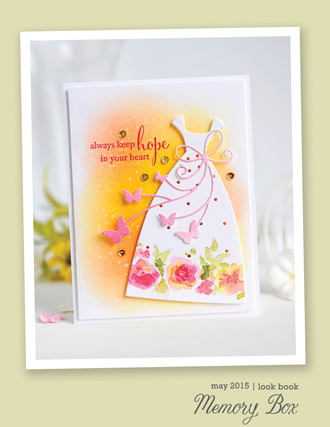 I adhered the Diamond Background die from red card stock to a soft pink panel. Next I adhered the largest Double Stitch Rectangle Frame cut from white card stock to the panel to give it a finished look. After trimming off the excess (the frame is smaller than the background die) I adhered the completed panel to a card base. 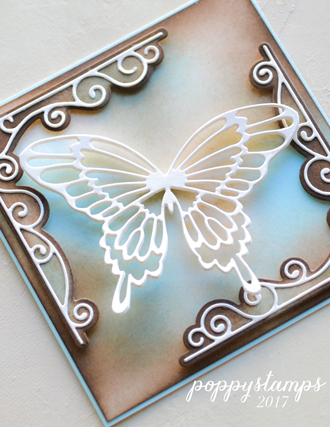 The largest Jar die was cut from baby blue card stock. I cut the Tree Line Hill die from white card stock, and then cut it again using the Jar die so it would layer perfectly when I attached them together. All that was left was embellishing! I created a floral to adorn the jar using the Mod Poinsettias, Holly Leaf Branch, and Perfect Pine Needles. A gem adorns the center of the layered poinsettia flower. I added a Wilderness Moose to the scene. He's trecking across the frozen landscape. 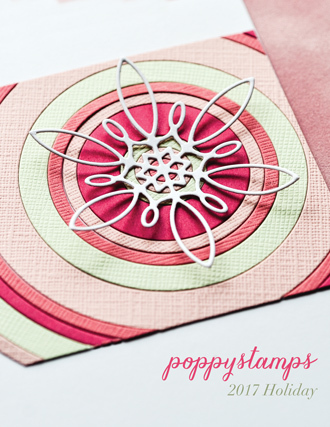 A bitty Circle Basics die makes a sun. 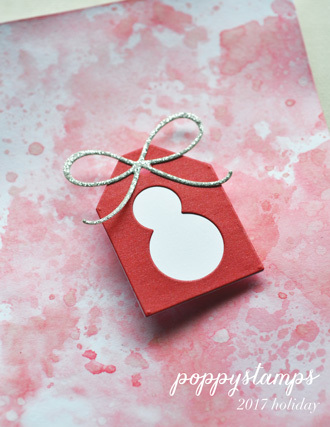 And a simple "Be Jolly" sentiment in red coordinates perfectly with the background. I hope you find some time to make today! Hugs! Hi everyone! It's crunch time at the Penir household. 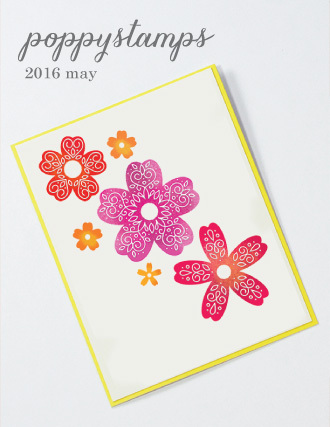 Plenty of goings on and shopping and wrapping, and cards are on their way. One thing I never have enough of is tags! 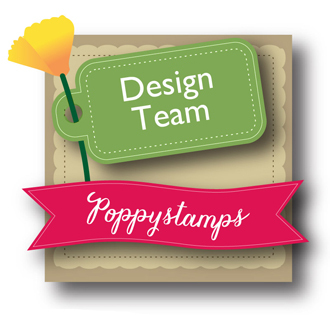 So I put together some simple but festive tags for you today using the new Deco Star Frame. I gathered all my supplies, especially some glitter paper and gold foil paper. I picked the Pinpoint Main Street Tags set and found it was the perfect size for my Deco Frame. 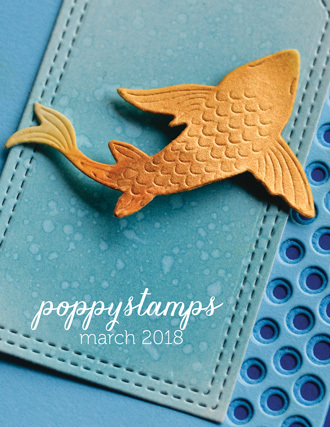 I stuck to jewel tones on black glitter paper, but you could use anything glittery, also adding a second tag with an embossed sentiment in gold. If you keep scrolling down, you'll see I didn't waste a cut! 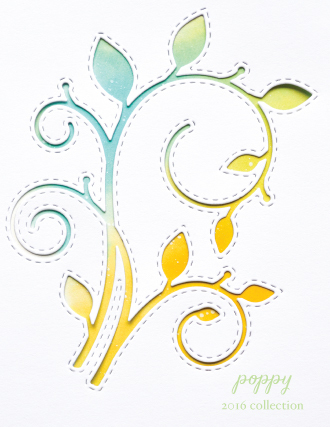 I used most every die cut in different color combos. 3 tags with left over frames in blue, red & green. This time dressed up with jewels and bells! 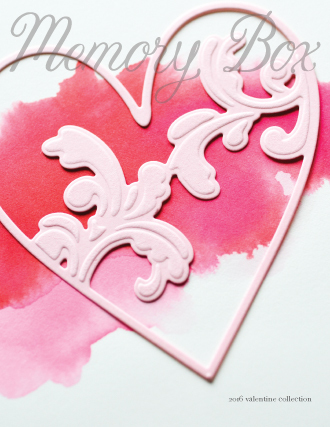 One last tag with the white glitter frame on a bright pink glitter card stock. 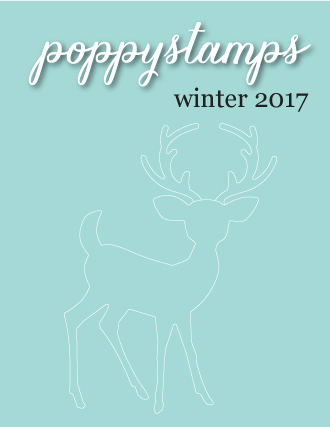 And a last wish for all of you, Merry Christmas from me, and Poppystamps!